Pizza Night- Cheap and Fun! In our house finding a meal that meets everyone’s needs and keep me in budget can be difficult. The one magical food that everyone loves is pizza! 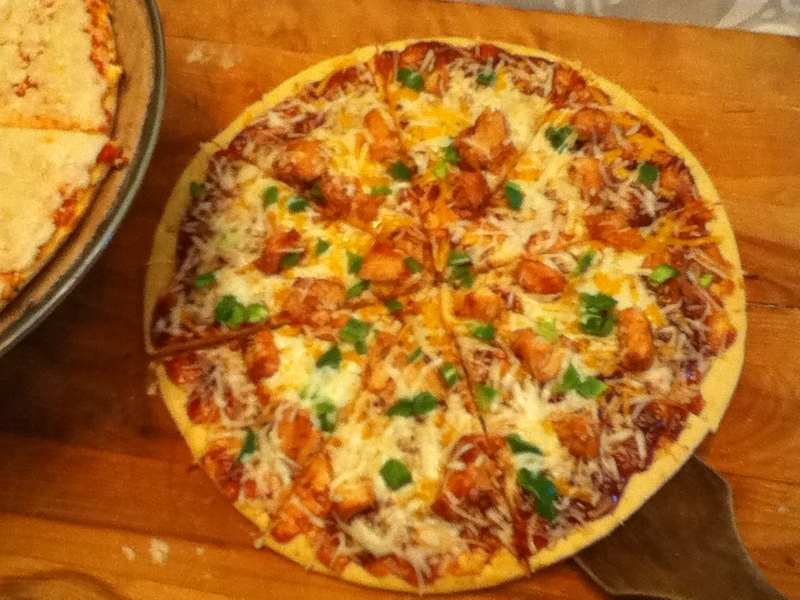 I have found that homemade pizza is fun, easy and a cheap way to feed a large family. We have pizza night typically on Friday’s during the school year. 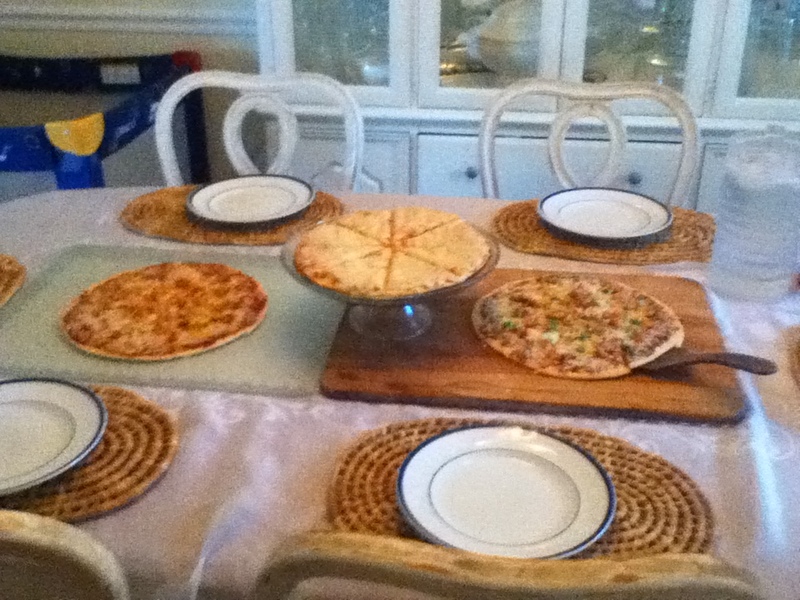 I start the dough in the afternoon and had everything ready for the kids to assemble when they got home that evening. 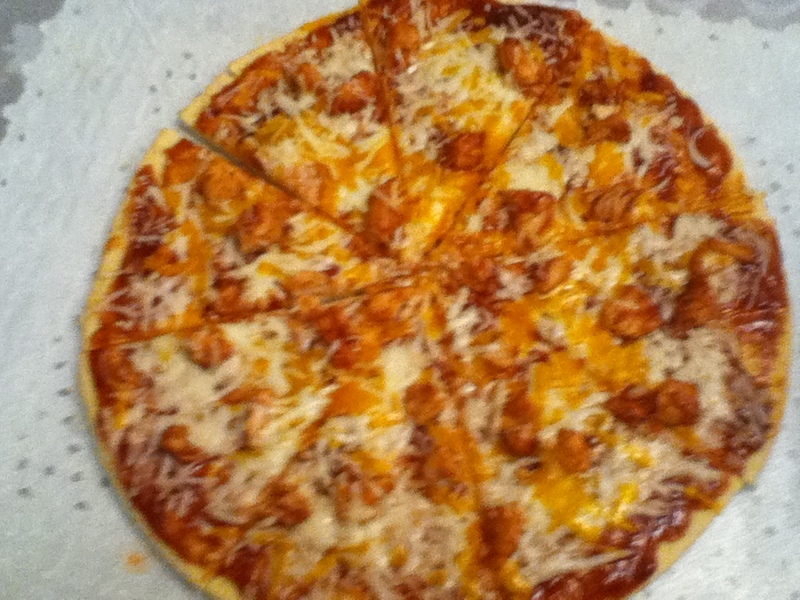 Consider having a family fun pizza night and let the children enjoy the process of making dinner! I cheat and use store bought sauce since there is a lot of preparation. bulk pepperoni, mushrooms, banana peppers, onions (caramelized in in a pan for a few minutes with a dash of sugar), peppers sliced, sausage cooked and crumbled, bacon (a real treat in my house), tomato slices, spinach. Instructions: Start the dough by mixing the yeast with about 1 and 1/2 cup warm water. I test it on the inside of my wrist. Put this aside. Next in my Kitchen Aid mixer I add olive oil, flour, salt, and sugar with the hook setting. After mixing this up, I slowly add the yeast mixture. The dough should be elastic. If it is crumbly and dry add more oil in small amounts, if it is too wet, add a bit more flour. Cover with a moist towel for a few hours then punch it down before starting to mold it into your crust. Divide dough in half and start to prepare the crust. Bake at 475 degrees preheat the oven. Cook for around 10 minutes, until top is lightly brown. We love making homemade pizzas especially with our need for dairy free cheese, I always buy crusts though. I neeed to try your recipe as I am sure homemade crust is way better!